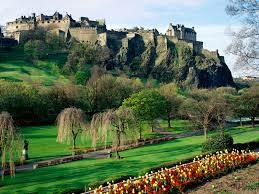 Lovely and exciting Edinburgh is the capital of Scotland and attracts tourists from all around the globe. You’ll discover tourist attractions and historical buildings which are worth seeing on the Royal Mile. The beautiful city of Edinburgh and The Lothians is a region which features iconic landmarks, world-famous festivals and lots of different and exciting attractions. After you have had your fill of it all you can relax and take a rest out in the lovely countryside in the Lothians. The Royal Mile is actually a succession of streets that stretch through the Old Town between Edinburgh Castle and the ruined Holyrood Abbey. 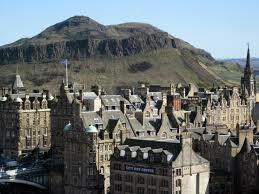 This is the location for the annual artistic and cultural Edinburgh International Festival in August and September. There are many tourist attractions and sites which are visited by many people every year. Edinburgh’s Old Town is a UNESCO World Heritage Site. Some of the most notable buildings in the Old Town are St. Giles’ Cathedral, the General Assembly, Hall of the Church of Scotland, the National Museum of Scotland, the Old College of the University of Edinburgh and the Scottish Parliament Building. You’ll be fascinated to discover that there are lots of underground streets and vaults which are leftover relics from various phases of construction. Get to know Scotland’s famous poet Robert Burns by visiting the Writer’s Museum which has a permanent Burns collection. You can see a collection of his portraits and see the writing desk from the poet’s Dumfries home. It was at this desk that he wrote some of his best-known works. A popular tourist site is Edinburgh Castle that today is home to Mons Meg, a giant cannon and the Scottish crown jewels. Here you can also see the Stone of Scotland which is a red sandstone block that has been used during the coronation of Scottish and British monarchs and is a symbol of Scottish nationalism. Tourists can take the Scotch Whisky Experience. An attraction dedicated to the history and manufacture of Scotch whisky. 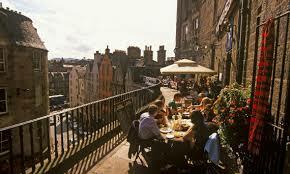 You can find it at the top of the Royal Mile right next to Edinburgh Castle. The tour includes a ride in a whisky barrel through a replica distillery where tourists can get a taste of different whiskeys. There is the lovely Edinburgh Royal Botanic Garden established in 1670. It has the largest collection of wild-origin Chinese plants outside of China. There is a rock garden with 5,000 species and tropical plants grown in 19th century glasshouses. Admission to the garden is free and there’s a fee to see the glasshouses. At the end of the Royal Mile is the Queen’s official residence in Scotland. Holyroodhouse is a Baroque style palace which was founded as a monastery in 1128. Tourists can have a tour of the royal apartments and the Queen’s gallery exhibit works which come from the Royal Collection. Edinburgh Zoo is the largest in Scotland and there are over 1,000 animals. Every year 600,000 visitors come to the zoo. Here visitors can see exhibits of sun bears, Amur leopards, Asiatic lions, jaguars and Indian rhinoceroses. The zoo has a popular event the Penguin Parade which occurs every afternoon when its penguins take a voluntary walk around in front of visitors. Another great place to visit which is located three miles from the city centre is Portobello a seaside suburb which has golden sand beach and a promenade. Visitors can walk along the promenade or visit one of the last Turkish baths in Scotland. Families can enjoy a great day at Dalkeith Country Park located just five miles from Edinburgh city center. Children will enjoy the exciting adventure playground, tree top walkways and rope swings to the famous flying fox zip slide. They will be able to come face to face with animals such as Highland cows, lambs, piglets and horses. There are many other wonderful parks to enjoy like Vogrie Country Park which was once a country estate and has sweeping carriage drives, landscaped vistas and a walled garden. It is situated to the south of the historic town of Linlithgow in the lovely West Lothian countryside. Beecraigs Country Park offers visitors lots of different activities to choose from like cycling, walking, fly-fishing, rock climbing, and canoeing. There is also a play park for children, a deer park and a restaurant. Polkemmet Country Park features lovely woodland and riverside walks beneath oak and Scot Pine trees. For golfers there is a 9-hole golf course. Visitors can enjoy the wildlife like roe deer, foxes, herons, water voles, badgers and bats. Almondell & Calderwood Country Park also offers woodland and riverside walks. There are wonderful oak and hazel trees and wildlife such as roe deer, herons and otters. There is also a visitor’s center and an aquarium. At the end of the day you can enjoy the nightlife at some of the great nightclubs in Edinburgh. You’ll discover unique nightclubs with interesting features, great music and have lots of fun dancing the night away.